Micro pigmentation is a technique used to implant small amounts of pigment into the upper layer of the scalp in a dot or line pattern, and this creates an optical illusion of a full scalp even without hair restoration. This is a painless walk in-walk out procedure which takes a few hours and is performed without any anesthesia. Skin City is one of the very few centers to launch this procedure. In patients with significant hair loss being treated with mesotherapy/ PRP or even hair transplantation, scalp micro pigmentation can be added at the completion of these procedures to give maximum scalp coverage look. Scalp Micropigmentation (medical hairline tattoo) is the ultimate in non-surgical male and female scalp grooming; an incredible life-changing treatment where natural pigments are applied at the epidermal level of the scalp to replicate the natural appearance of the real hair follicles or strands – depending on your hair loss extent, and desired look. The human head has on average 2,000 hairs per square inch. When thinning occurs, it can be a depressing time, stigmas attached to balding & premature ageing in both men and women can affect confidence and mood. Scalp Micropigmentation can restore even a completely bald head to look like a full head of well-groomed hair. The follicle/strand build up of Scalp Micropigmentation normally takes place over 2- 3 sessions, each taking approx 2-3 hours with at least 2 weeks to 1 month between sessions. The process allows for a very gradual and subtle rejuvenation/infill of the hairline, rarely identified even by close friends and family. During the procedure, topical anaesthetic cream is applied over the area to be treated prior to starting micropigmentation, hence the procedure becomes completely painless. A cartridge containing few very fine needles working in symphony gently inject natural pigment into the 2nd dermal skin layer and Skin City uses the latest innovative technology and the Pigment spacing is determined by replicating the remaining natural hair follicles. Though there are many types of hair loss treatments available, not all of them work, leaving men suffering hair loss with few options. 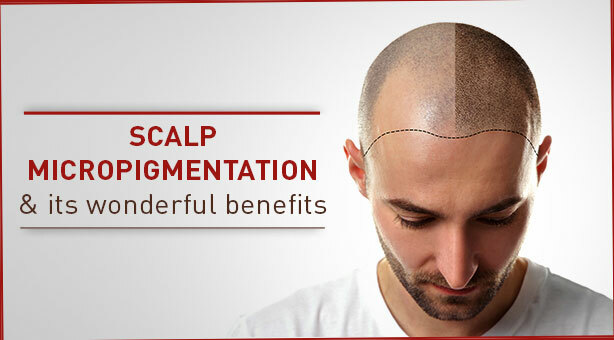 That’s why scalp micropigmentation is the best course of action for those in this position, because of the numerous benefits this procedure can offer to those suffering from hair loss.